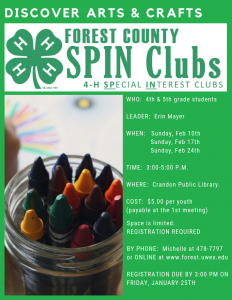 Join 4H leader Erin Mayer for some crafting fun this February! 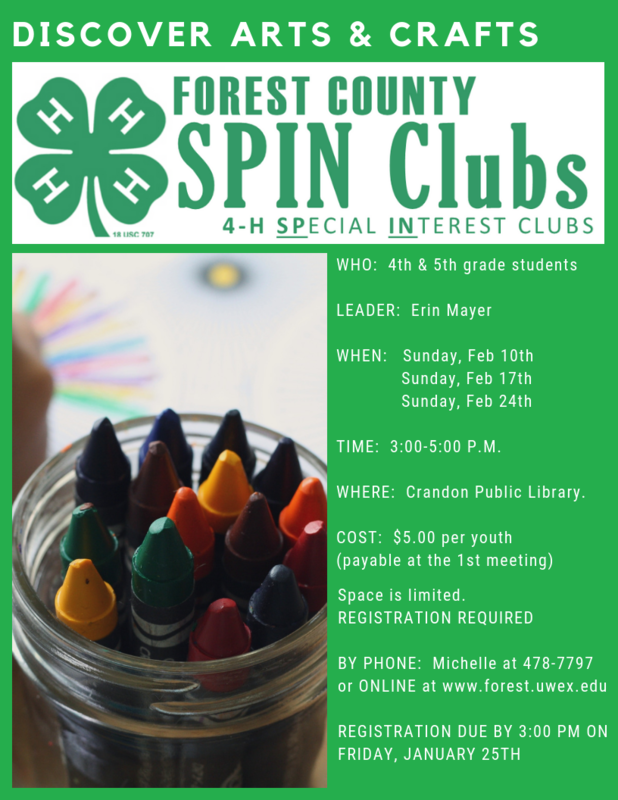 Discover Arts and Crafts SPIN club is open to Forest County Youth in the 4th and 5th grades. 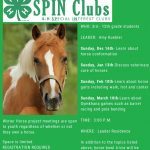 The SPIN club will meet on Sundays, February 10th, 17th and 24th at the Crandon Public Library from 3:00 – 5:00 p.m. The cost is a one-time $5.00 fee payable at the 1st meeting. 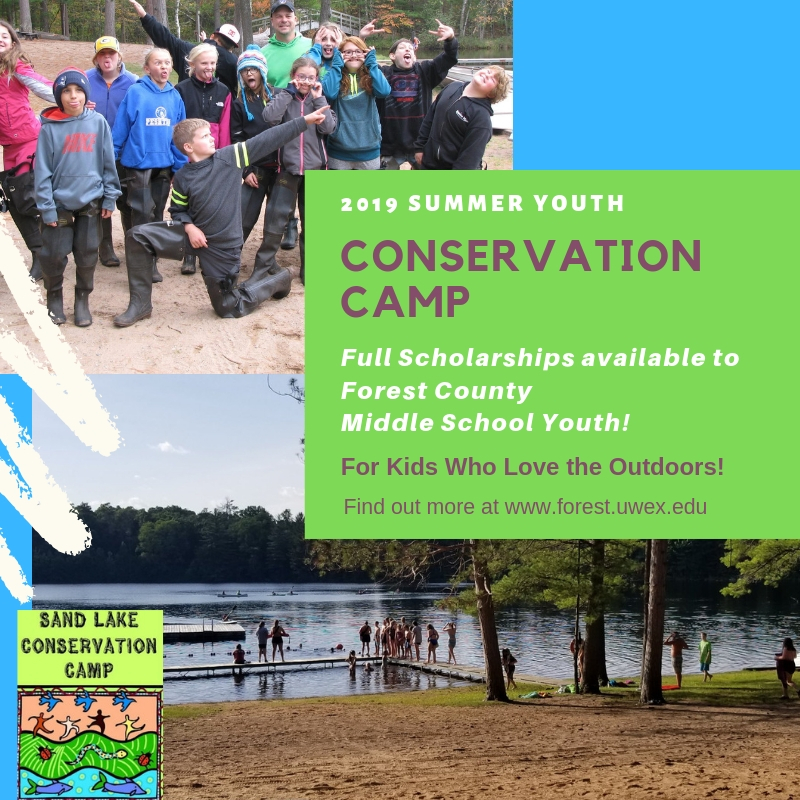 Space is LIMITED to 10 youth. Please complete the initial registration here. Parents/guardians will be contacted by Michelle Gobert to complete the full application process. 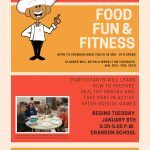 For more information about the program or if t here are questions, please call Michelle Gobert at 715-478-7797.